As the Triangle continues its rapid growth in population, creative individuals and groups are finding ways for residents and businesses to minimize the environmental impact. From reducing waste and composting to growing urban gardens, local organizations are focused on a sustainable future for Wake County. Leigh Williams and Dargan Gilmore are busy moms living in Cary and striving to produce little to no waste while raising their families. They also inspire and support others in achieving that goal through their group: Toward Zero Waste. It began after they read Bea Johnson’s book Zero Waste Home, where she chronicles her family’s journey of minimizing waste to the point of producing only enough trash to fit into a mason jar over the course of a year. “I knew I couldn’t do what Bea was doing, but I could certainly do better,” Williams says. As she searched for businesses that would support her goal, she found it almost impossible to avoid packaging and other waste. “I thought if I could find more people who want these changes, businesses would start noticing and adapting,” Williams explains. “And it seems like that’s happening now,” she adds. On the Toward Zero Waste website and Facebook page, Williams and Gilmore provide resources for how to navigate waste reduction in different areas of the Triangle, including helpful tips specific to your town. They also hold meet-up groups where people discuss lifestyle changes and help each other through the challenges of zero waste living. “If you want to, you can live differently. It just takes time,” Gilmore says. For more information, visit TowardZeroWaste.org. Activities at Inter-Faith Food Shuttle’s Garden Get Down included garden tours and fun projects for kids. Even if a person can’t limit trash to the confines of a jar, many are finding ways to reduce waste by using compost services like Compost Now. 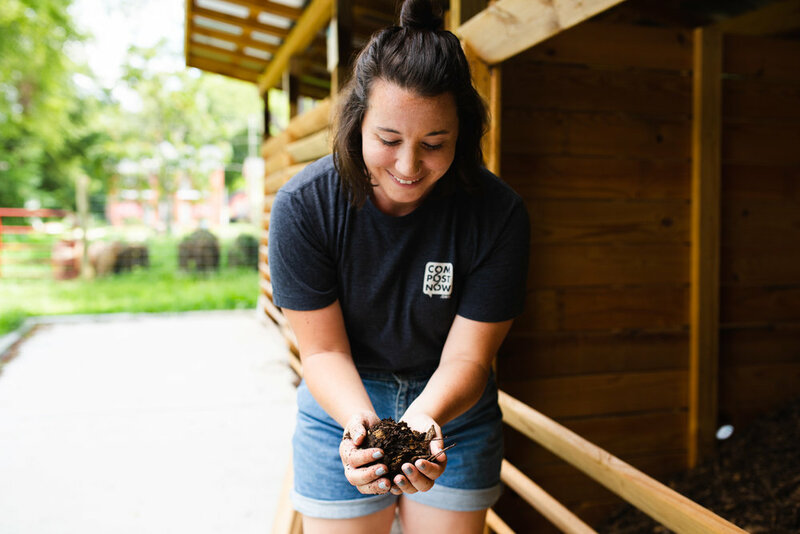 The company collects compostable waste from homes and businesses throughout the Triangle, much like a garbage or recycling service, and then uses the materials to make quality soil. Customers can request to have their soil returned to them or they can share it with one of Compost Now’s garden partners, which help grow food for lower income populations. 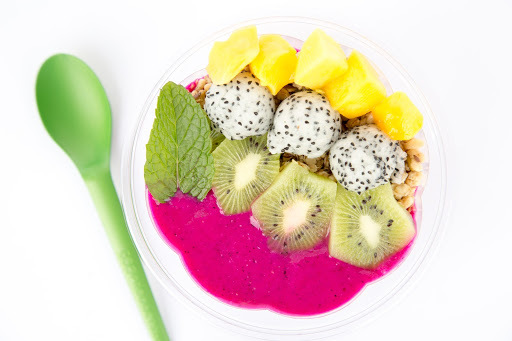 According to the National Resources Defense Council, up to 40 percent of food in the U.S. goes uneaten and most of the waste goes into landfills. “When food rots in a landfill, it’s in an anaerobic system. This produces methane, which is 25 percent more harmful to the environment than carbon dioxide,” says Kat Nigro, head of marketing and engagement at Compost Now. Composting, on the other hand, introduces oxygen to the system and allows waste to break down without producing harmful greenhouse gases. Nigro explained that customers are able to compost a wide range of foods and recyclable materials—more than just fruits and vegetables—through the pickup service. “Because the temperatures go up to 160 degrees at our compost sites, our customers can compost things like meat, dairy, baked goods, paper towels, and even pizza boxes,” Nigro says. Local businesses as well as residents are embracing the composting service. Matt Whitley, co-owner of Happy and Hale restaurants in Raleigh and Durham, has used Compost Now’s service since day one. “We’re not only diverting food scraps with Compost Now, but our bowls, forks, cups, and straws are also compostable. So customers eating in our restaurant can potentially create no waste during their visit,” he says. With Compost Now, Happy and Hale has diverted 139,391 pounds of waste from landfills and created 28,228 pounds of compost for local community gardens. “We pay for our compostable materials and Compost Now because our goal at Happy and Hale is to create healthy fuel that nourishes the body, fulfills the soul, empowers the community, and balances the planet,” says Whitley, who also uses the service for his home. Learn more at CompostNow.org. Inter-Faith Food Shuttle started in 1989 when the founders encountered a restaurant that was throwing away the fresh food that remained after service hours ended. Jill Staton Bullard and Maxine Solomon began taking that uneaten food to a local soup kitchen. Now the Food Shuttle recovers and distributes 6 million pounds of food per year, food that would otherwise be wasted. Beyond feeding people through the redistribution of food, Inter-Faith Food Shuttle uses its Camden Street Learning Garden to teach the local, urban population how to grow their own healthy produce. Located on one acre of land in downtown Raleigh, the gardening site is also one of Compost Now’s community partners. Coleman believes the most powerful way the garden impacts the environment is through what it teaches to its visitors. “We want to demonstrate how to be good stewards of the land, and how to grow good gardens that won’t harm the environment,” she explains.Find upcoming classes and volunteer opportunities at FoodShuttle.org.